KATY B Autograph (Ever wanted a signature from your favorite artist but have never been lucky enough to meet them? Then we might just have the item for you. 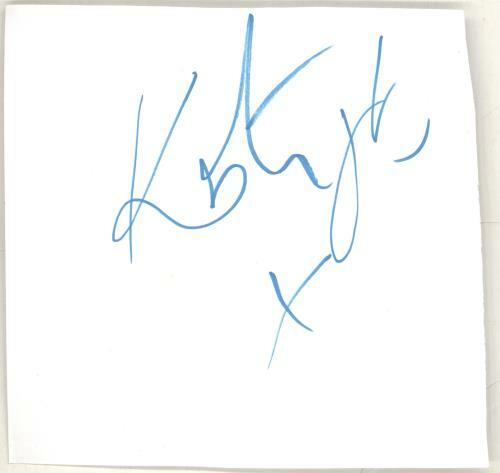 A genuine signed page from an autograph book, boldly signed in blue marker pen by UK singer/songwriter Katy B. This signature was obtained by the previous owner outside the stars hotel whilst they were on tour. This would look fantastic framed with your favourite album artwork or photograph). or visit our Katy B image gallery.